Well, I'm thrilled to announce that my new pet project has officially been acquired! Yippee! This project will be my first early reader--think along the lines of Frog and Toad, Amelia Bedelia. 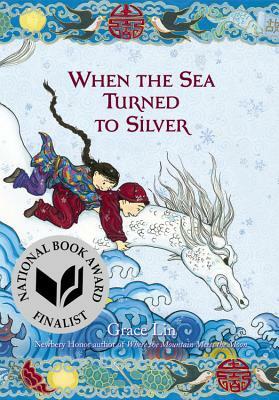 So not a picturebook, like Lissy's Friends and not a novel like Year of the Dog. A whole different beastie for an age group in between those two types. Very exciting! 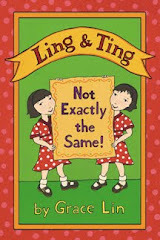 Ling and Ting will be an early reader about twin Chinese-American girls (it also marks my first Asian book that does not feature my family members!). Why twins? Well, originally, they were triplets. This book actually has been brewing for many years. 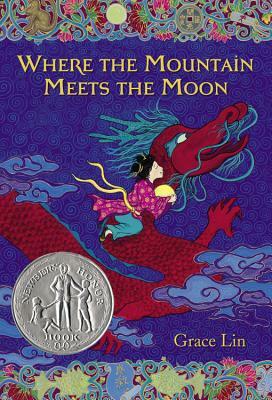 Just like how Year of the Dog was an homage to the Betsy books, this early reader began as an homage to the Flicka, Dicka and Ricka books I used to read. 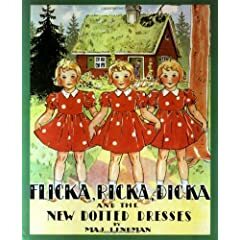 Because, whereas the theme of many of my other books have been how even when people look different, there are many similiarities--the theme of this book is how when people look the same, there are many differences. And that is the story behind the story of Ling and Ting! It's strange how books with the fewest and simplest words seem to take the longest to produce. In fact, I think this blog post might be longer than the actual manuscript!